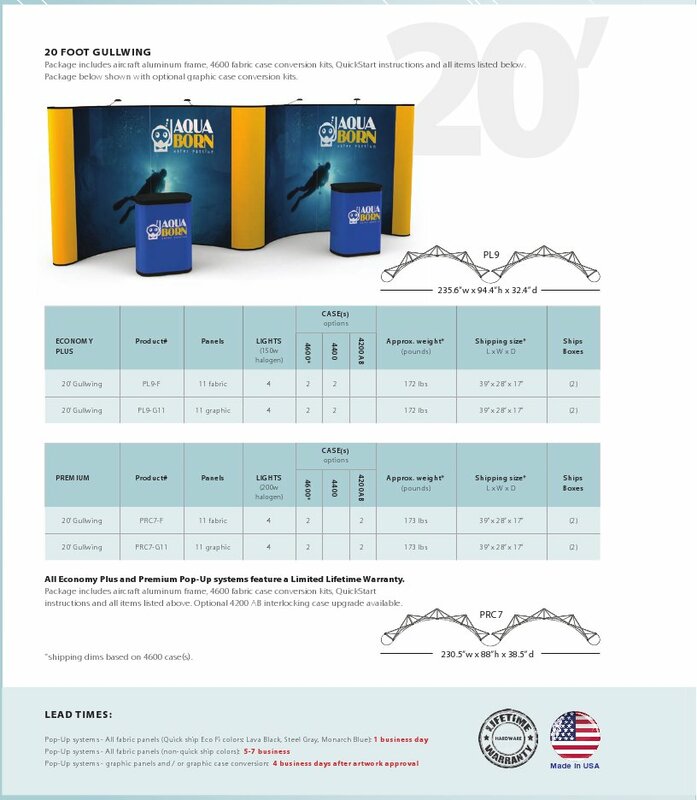 *Economy Plus Pop Up Display Packages offer curved profiles, and are available in both floor-standing and tabletop models. 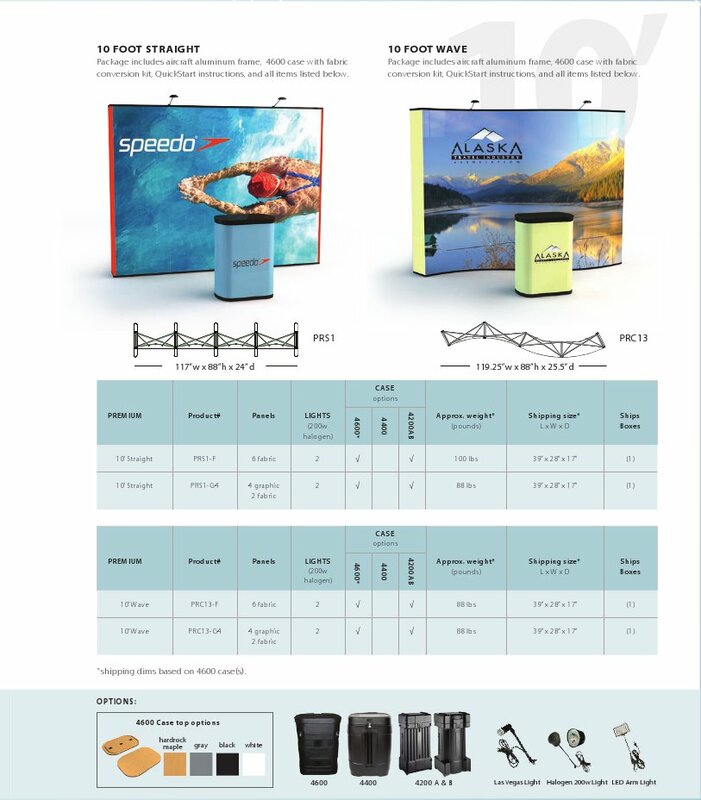 Economy Plus Pop Up Display frames are constructed from 8mm aircraft grade aluminum tubing, and come with a choice of 4400 or 4600 case with fabric conversion kit and a limited lifetime warranty. 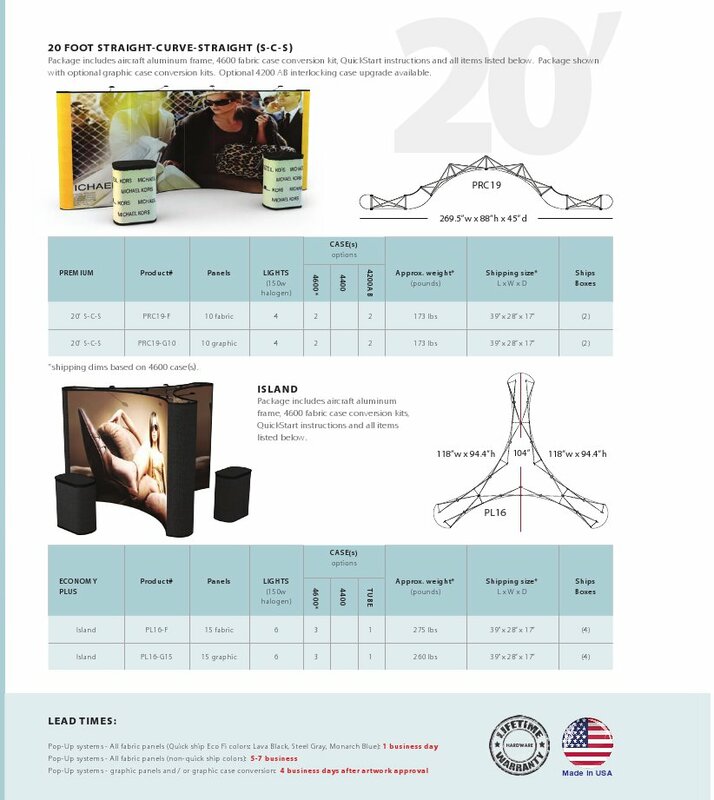 All Economy Plus Pop Up Display and Premium Pop-Up Display systems feature a Limited Lifetime Warranty. conversion kit. Optional 4200 AB interlocking case upgrade available. *shipping dims based on 4600 case(s). 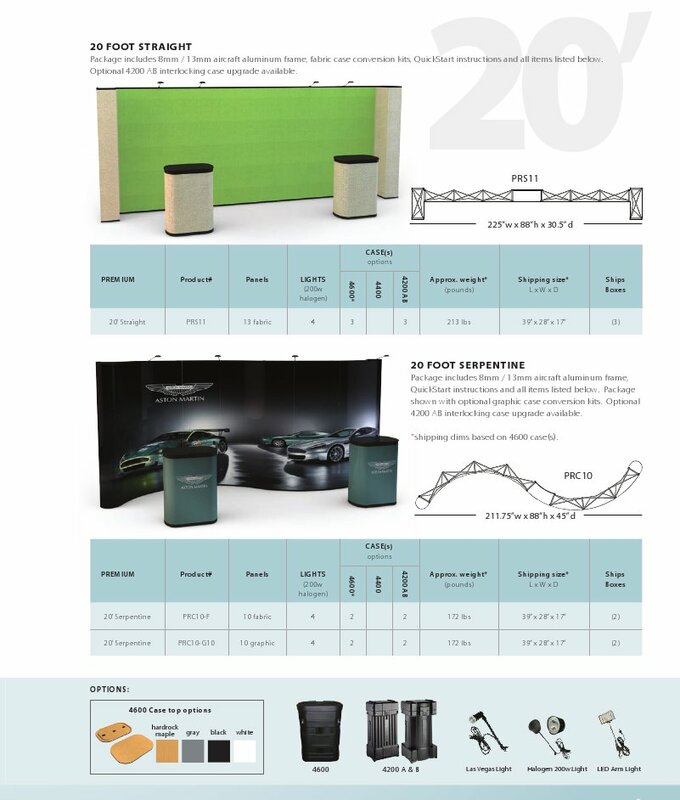 conversion kit, QuickStart instructions, and all items listed below. listed below. Optional 4200 AB interlocking case upgrade available. 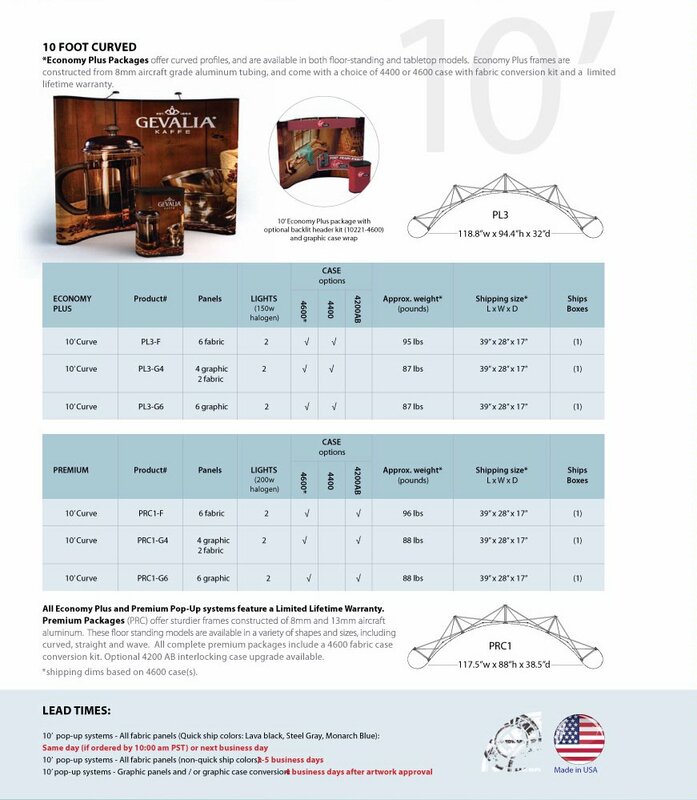 Package includes 8mm / 13mm aircraft aluminum frame, fabric case conversion kits, QuickStart instructions and all items listed below. Optional 4200 AB interlocking case upgrade available. 4200 AB interlocking case upgrade available. with optional graphic case conversion kits. Optional 4200 AB interlocking case upgrade available. 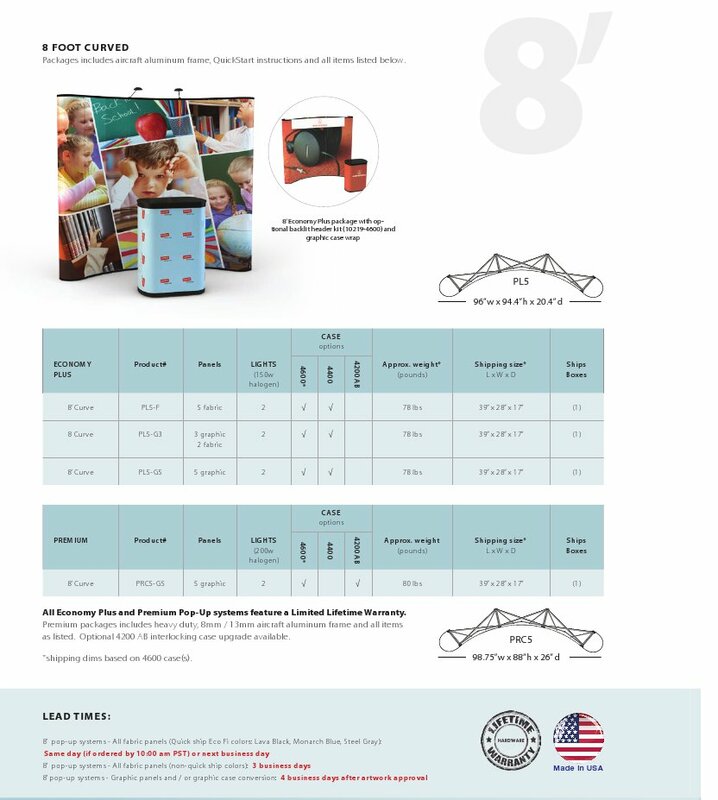 All Economy Plus and Premium Pop-Up systems feature a Limited Lifetime Warranty. as listed. Optional 4200 AB interlocking case upgrade available. 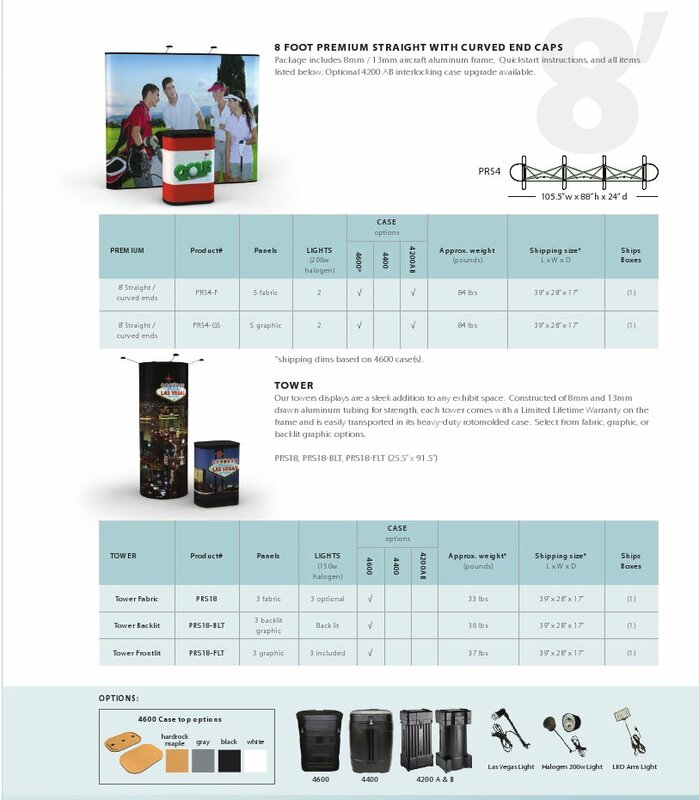 Packages includes aircraft aluminum frame, QuickStart instructions and all items listed below.